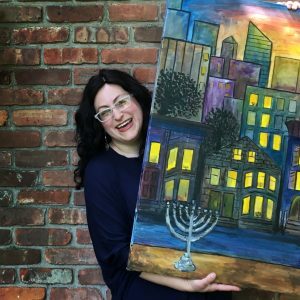 It’s our pleasure to feature Nechama Markowitz in our Creative Corner this week! JWT: Welcome to the Creative Corner, Nechama. What type of art do you do? What materials do you use? How long does your art take to create? Nechama: I’m a painter and a fine artist. I like to work in heavy body acrylic paint on canvas. A painting usually takes me anywhere from 2 to 20 hours, depending on the size, the subject and what style I’m aiming for. I also run paint night parties, sell hand painted mailboxes and paint all sorts of interesting commissions for clients. JWT: What is your background? When did you get into art? Nechama: Since I was a kid, I always thought of myself as an artist and I’m lucky to have a family that is supportive of my creativity. I brought sketchbooks and drawing supplies to sleep away camp. I loved looking through books of famous artworks. I did well at school but my notes where full of interesting doodles and pictures. I studied fine art and graphic design at Stern College of Women (YU) and through their joint program was able to take classes at Fashion Institute of Technology (FIT) as well. Since college I’ve chosen to concentrate more on painting. JWT: Are there a certain artists that you’ve been inspired by? How would you describe your style? Nechama: I think my style is most influenced by the Impressionist and post-Impressionism movement. 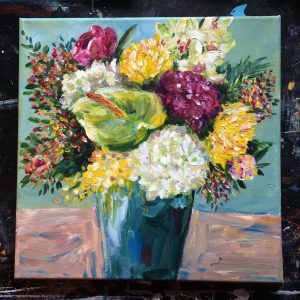 My paintings are a colorful and joyful idealized version of reality and I use brushstrokes that are loose and expressive. I don’t try to recreate details exactly like a camera taking a photograph, instead I try to create a scene that has feeling and expression. 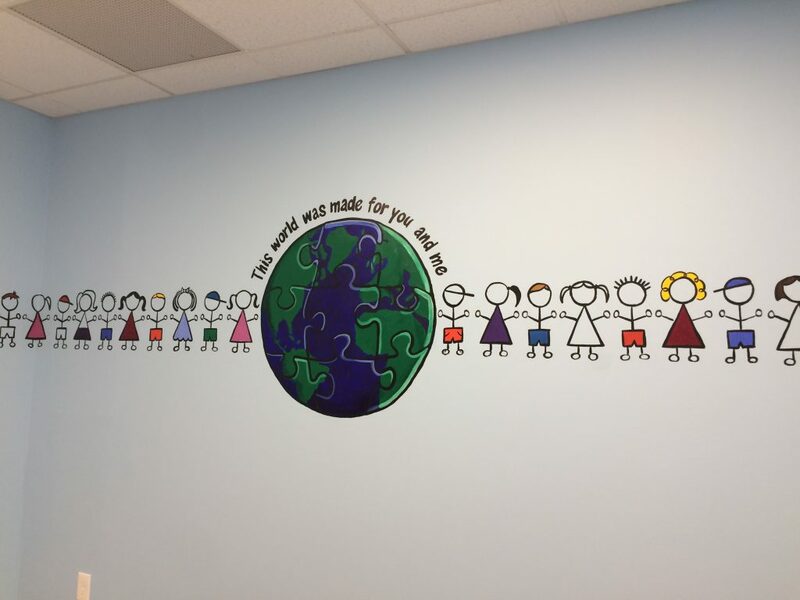 JWT: What do you like to paint? How do you come up with ideas of what to create? 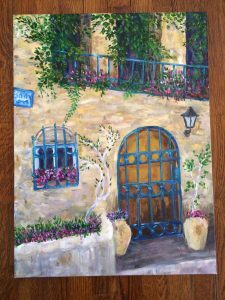 Nechama: My favorite things to painting are Israel alleyways and Israel cityscape scenes, that’s just what speaks to me. 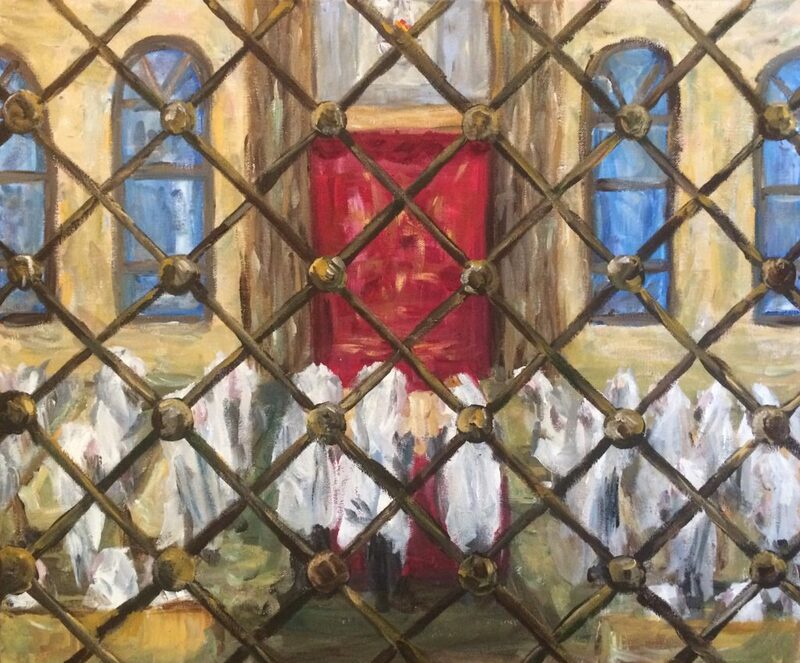 I also regularly paint other Jewish subjects, along with more classic painting subjects like flowers and still life. I like to work from a reference photo for the bases of the painting and then I change things up as the painting progresses. Years ago I had file folders of photographs, postcards and pictures cut out of magazines for ideas and reference. Today with the internet and Instagram I have a much easier time finding reference photos for inspiration. Often now I’ll have multiple photographs of the same scene, each taken from a different point of view and time of day, and while painting I can pick and choose elements to create my idealized reality. JWT: Is this something you do full time? If not what else do you do? 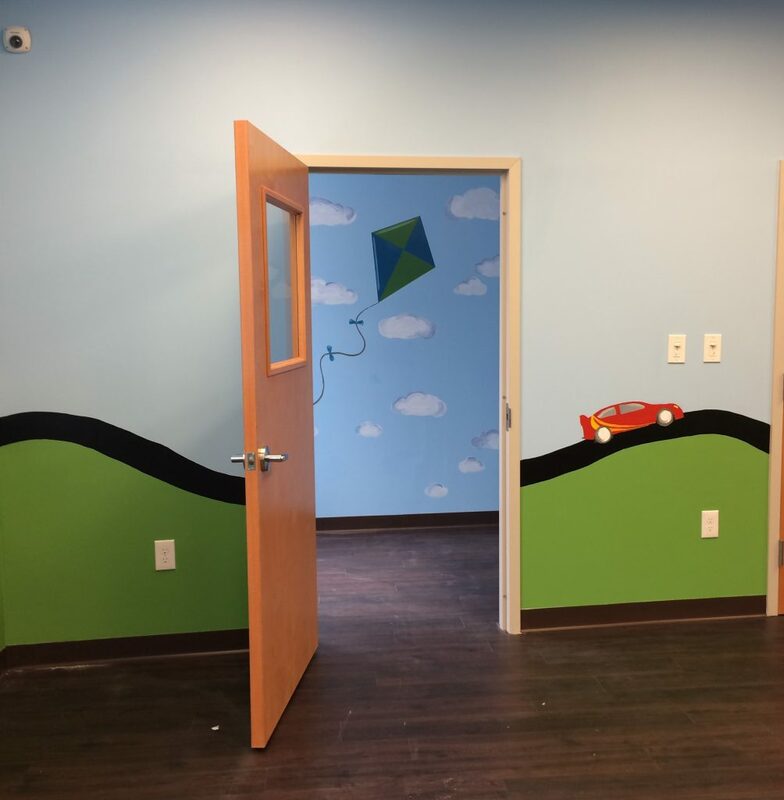 Nechama: I was very fortunate that when my oldest child was born I was able to stay at home and work part time on freelance graphic design projects, photo editing and art clients, while fine art painting in whatever spare time I could carve out. Now that my 3 boys are getting older I’m looking to work more, and this fall I’ll be teaching art in a Yeshiva to boys and girls in 1st through 8th grade. I didn’t have art in school as a kid so I’m very excited to be the one who introduces children to that experience. 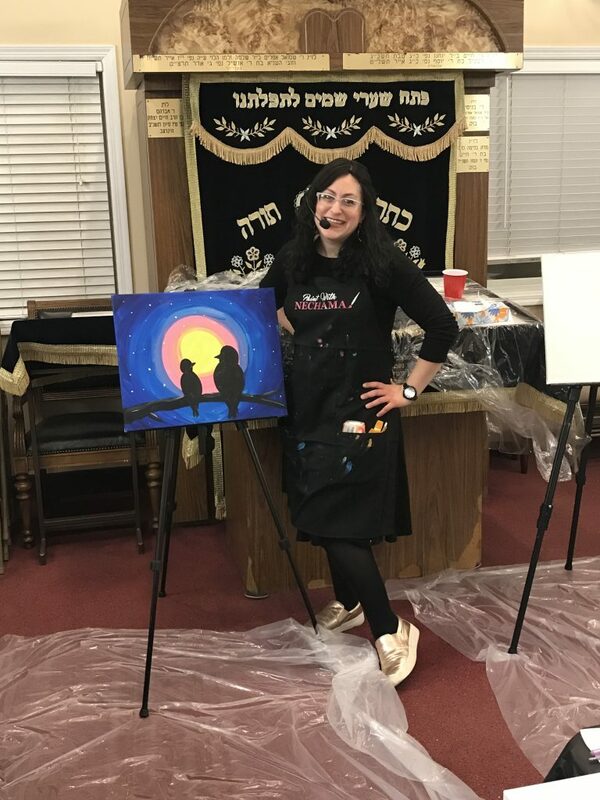 I also run a “Paint with Nechama,” a paint night party business in Monsey, NY where I come to people’s homes or events and walk them through creating their own painting. 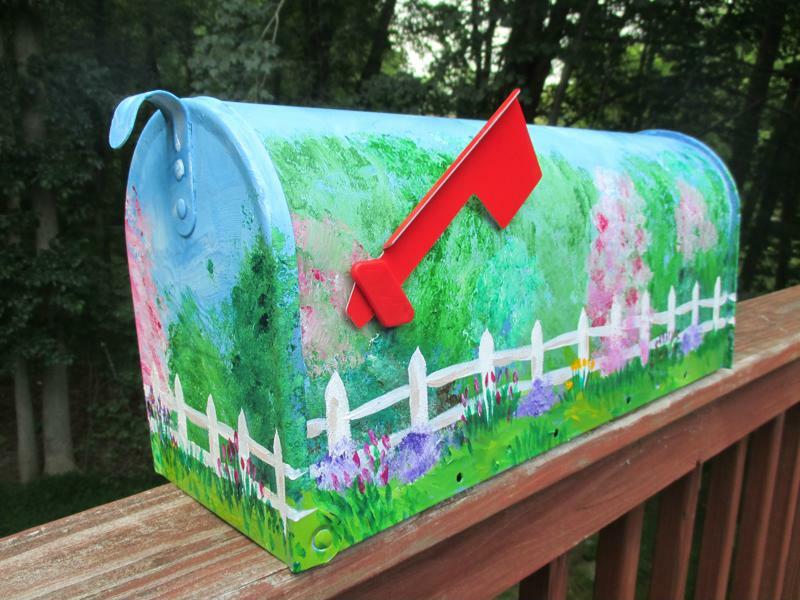 I sell custom hand painted mailboxes. 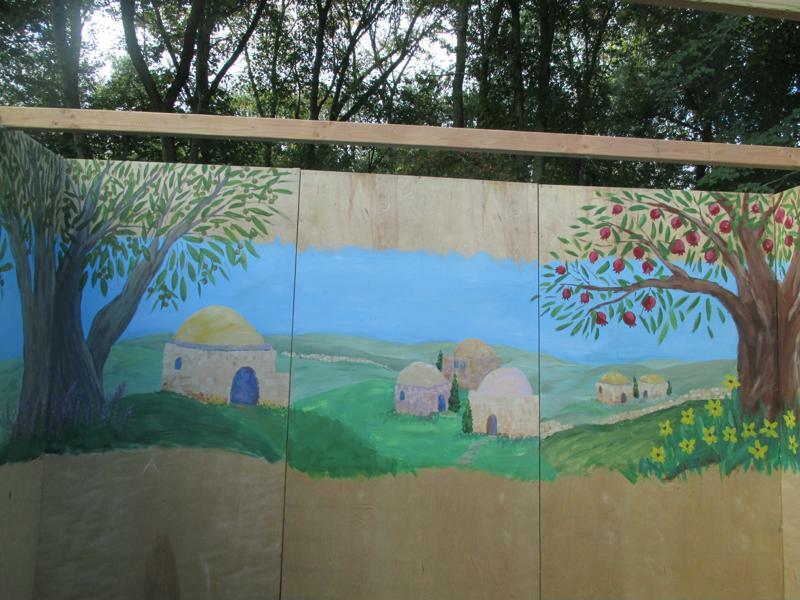 I’ve painted murals in people’s sukkot, homes and offices. I’ve even painted beehive boxes for a local beekeeper. JWT: Can you share a proud moment? Nechama: An accomplishment I’m very proud of is that I have a painting selected to be in an art exhibit this summer. 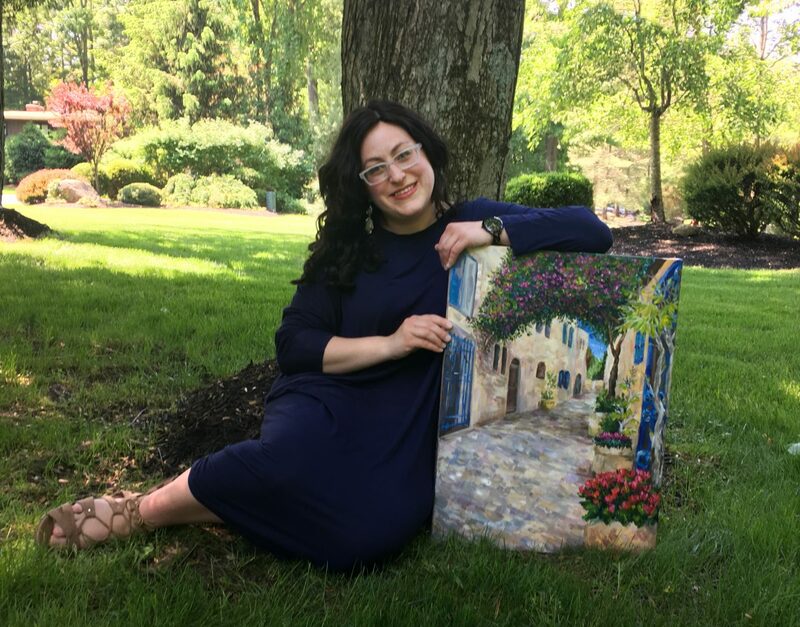 It’s a show put together by the Jewish Art Salon and the Detour Gallery in Red Bank NJ titled THE INVISIBLE JEW: the lack of representation of women in orthodox media, the circumstances that allowed it, its consequences, and related issues. As an Orthodox woman the subject of this exhibit really hits close to home for me and I think it’s an issue our community needs to continue to discuss. JWT: Is there a message you want to leave for our readers? Nechama: I believe art and creativity is for everyone who wants to experience it! So many people ask me questions like “My kid is very creative loves to draw, should I send him/her to classes? 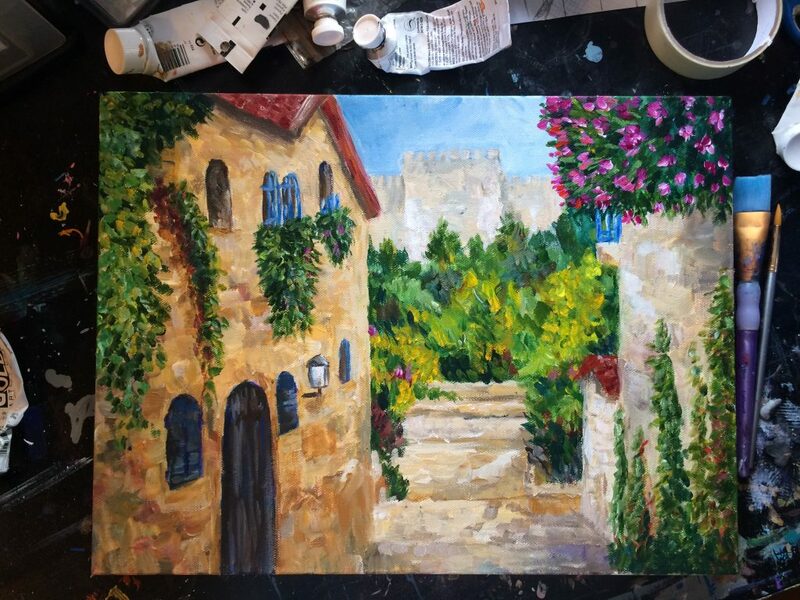 Is it worthwhile?” or “I enjoy painting, but I’m a beginner and don’t know if my work is any good, should I keep doing it?” I always say “if it’s what you love, keep creating!” The more you do and learn, the more your skills will improve – even people who don’t think of themselves as natural artists. Art and creativity can bring so much joy to your life and open your eyes to see and think about the world around you in new ways.